The Town of Trinity's military history and its overall importance to the economic and social development to the eastern region of Newfoundland is not relatively known and is the purpose of this virtual learning resource. Information on this site will detail the importance of establishing a military fortification at Admiral's Point (later and today known as Fort Point) at the entrance to the Harbour for the protection of its mercantile interests and residents. The site will also explore the occupation of Trinity by the French in 1762, the destruction of the Fort, its stability and other preparations carried out in case of an attack during the War of 1812 including the formation of its own militia, the Loyal Trinity Volunteer Rangers (LTVR). In addition to the on-line resource the Trinity Historical Society to commemorative the 200th anniversary of the War of 1812 developed a Look Out, Interpretation and Rest Area in the Town of Trinity where there once was a Signal Station, Fort Nicholas, on Gun Hill. 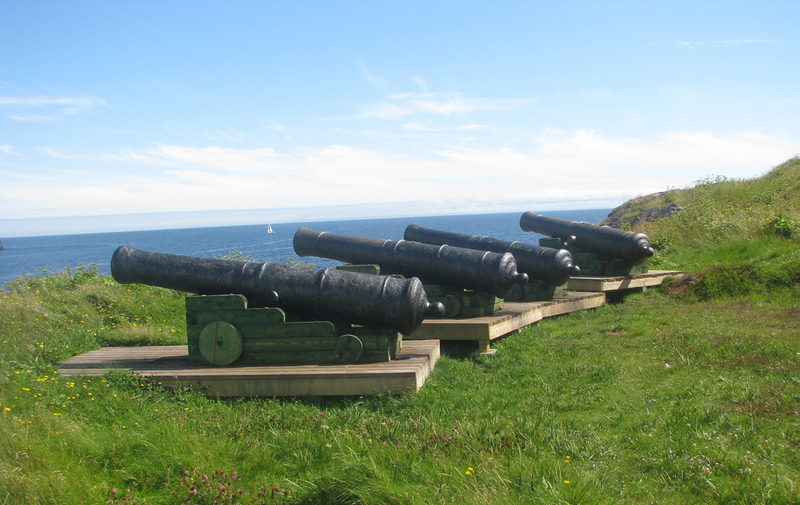 This site held a battery of several cannons and flag staffs and was in response to the possibility of an attack during the War of 1812. We invite you to explore the 18th century history of Trinity Harbour as associated with its mercantile and military importance. This project has been funded in part with financial assistance from the Government of Canada.